An Experience Worth Smiling AboutVoted Best in Winnebago! New Patient Special: $75 for Exam, Cleaning & X-Ray. Established in 2002, Glacier Dental is your top choice for gentle, state-of-the-art dental care in the greater Oshkosh Area. We are dedicated to patient satisfaction and accommodating each patient's unique dental needs. Lead a busy lifestyle? No problem! For healthy, beautiful teeth, call (920) 267-4693 today! We stand behind our reputation as Oshkosh's choice for affordable dental care. We are locally-owned and fully insured. Our office is open six days a week, Monday through Saturday. We are always happy to accommodate walk-ins or any dental emergency that might come up, whether it’s a loose crown or a painful toothache. 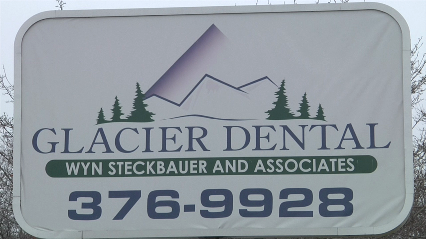 Glacier Dental provides a variety of dental services for children and adults, from routine cleanings to tooth extractions. *Please note - We do not currently accept Medicaid. Our promise to you is expert service and the highest quality and products available. Call us today at (920) 267-4693 for an appointment. Copyright © 2018 glacierdentaloshkosh.net All rights reserved.